Ahhhh…. The satisfaction of sitting in the balcony, the wind and raindrops for company, sipping a steaming hot cup of tea with fritters is absolutely divine! This recipe if ideal for kids who don’t like the eat veggies too much and fuss over it ! 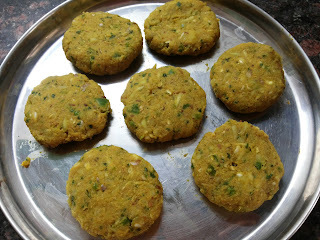 It is a fantastic snack to enjoy along with ketchup/ chutney and also can be a side dish. 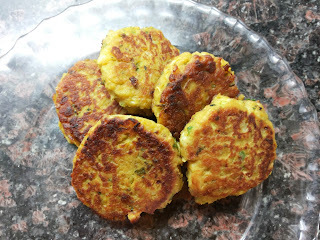 You can also go for any other grated veggies instead of bottle gourd, am pretty sure that whoever doesn’t like veggies in their menu, will definitely enjoy having these fritters ! 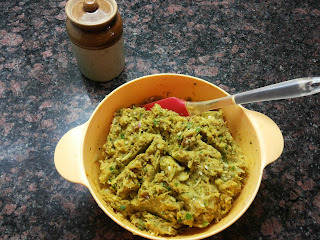 **TIP**Squeeze out the extra water from the bottle gourd after grating it. 1. 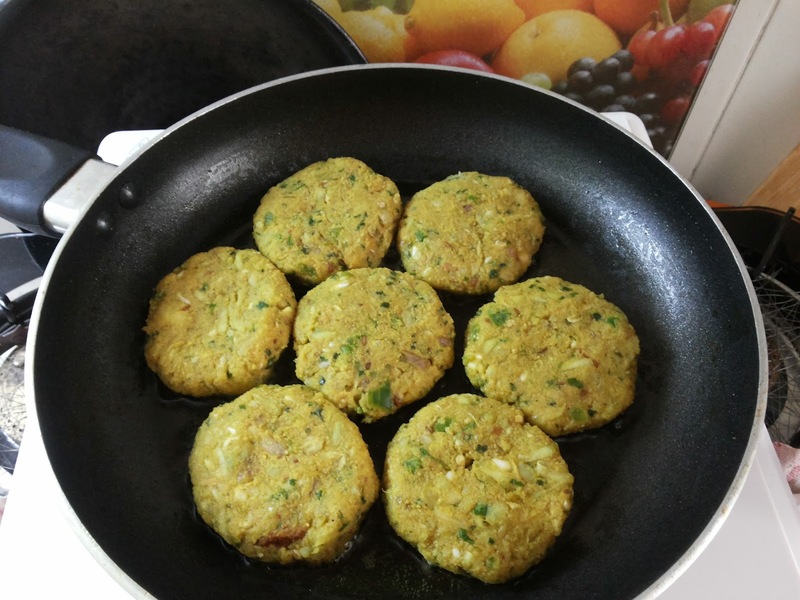 In a large mixing bowl, prepare the batter for the fritters by combining the grated bottle gourd, boiled mashed potato, chickpea flour, onions, capsicum, green chilies, coriander, mint leaves, ginger and garlic. Mix these ingredients thoroughly. 2. Next add all the spices and the breadcrumbs and give it 1 more final mix. **TIP** DO NOT add water. Bottle gourd itself has lots of water in it. 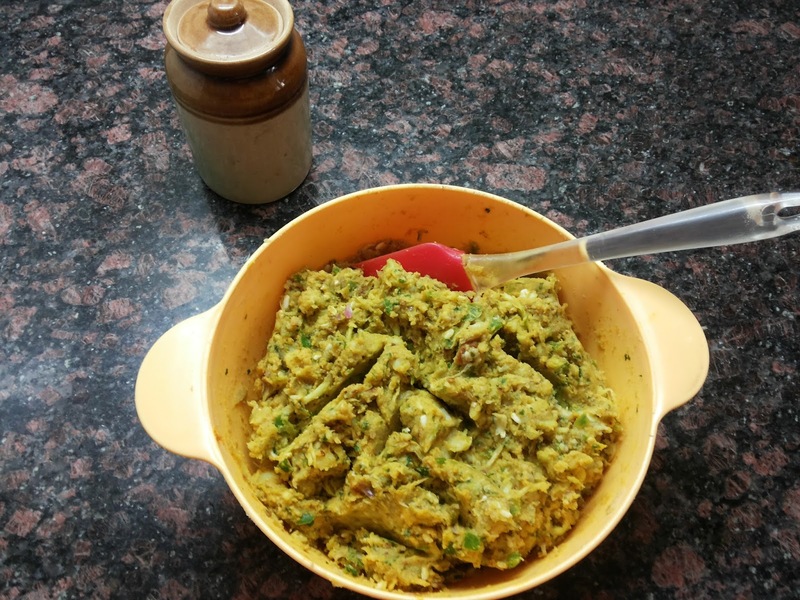 Check for the consistency of the batter and if you feel that it’s not thick enough, add 1-2 tbsp chickpea flour. 3. Heat oil in a frying pan for shallow frying the fritters. 4. While the oil is heating up, make lemon sized balls with the dough. 5. Reduce the flame to medium, wet your palms with oil and press the dough to the shape of a small patty. 6. Carefully slide the patties into the pan. 7. Shallow fry all the patties in batches on medium until the color turns golden brown. 8. Drain the excess oil with a tissue paper.